And there it is!! 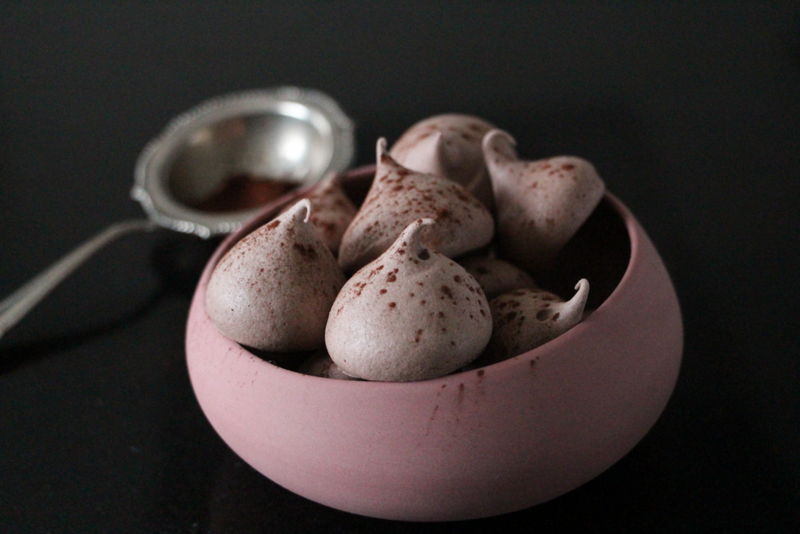 A new meringue recipe! 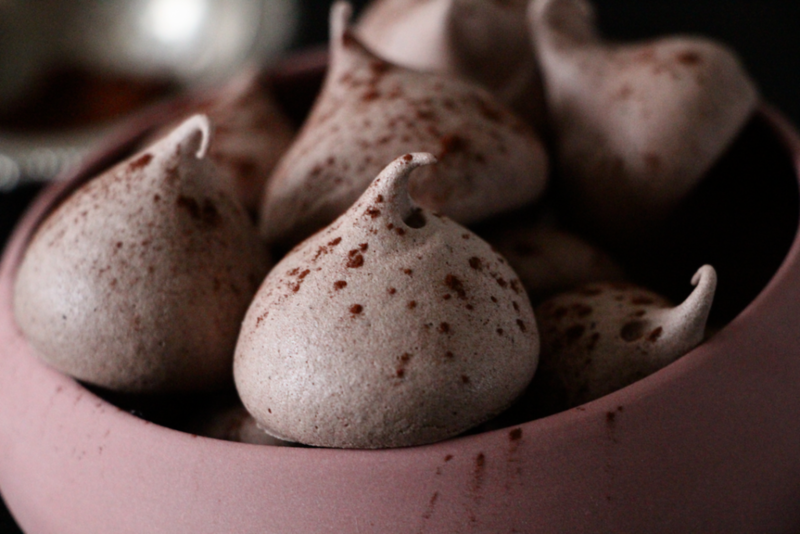 As an official chocolate addict, I had to share a chocolate meringue recipe. You are going to love it!! No long speech today, you already know the famous meringue! What will change here, compared to the usual recipe, is the ingredients quantities and the baking time. Nothing more. And why change the baking time you may ask? 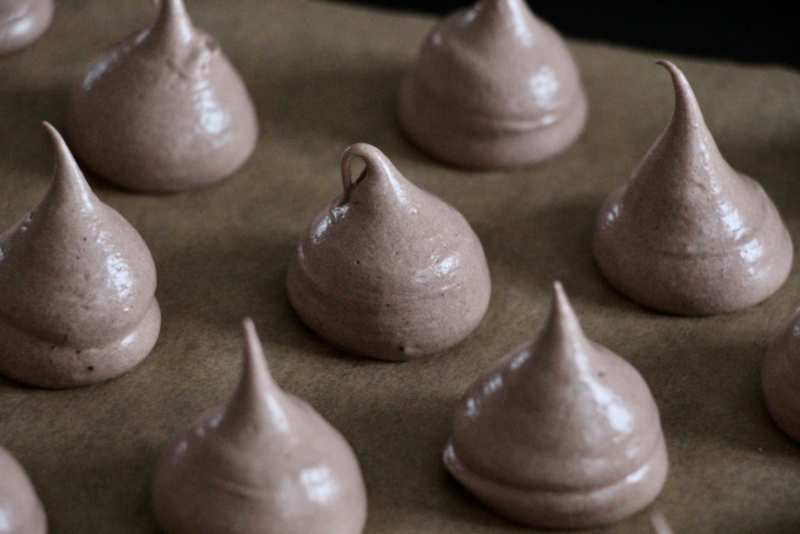 Just because adding chocolate slows down the baking of the meringue. My piping bag and nozzle (round shape diameter 10 here) by De Buyer. Pre-heat your oven at 100 degrees. Add the icing sugar and cocoa and mix gently with a spatula. Stop when you get an homogeneous mixture. 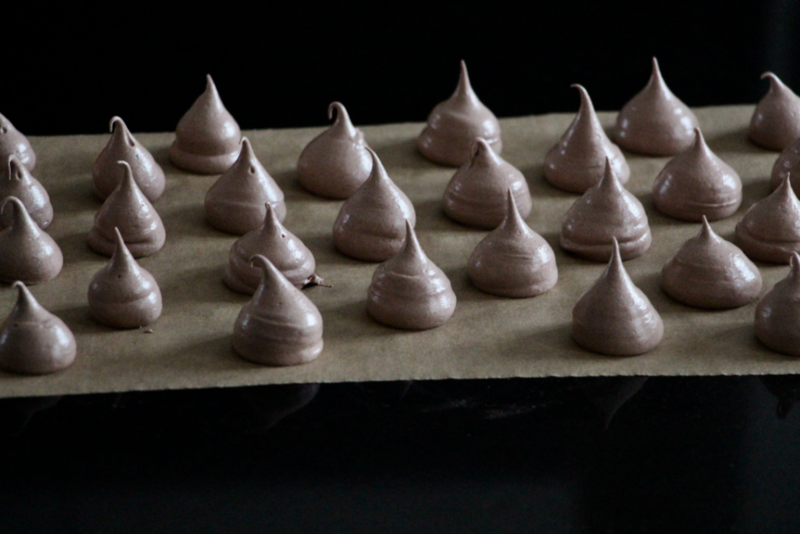 Use a piping bag and nozzle (or a spoon) to make your meringues and place them on a silicon baking mat or a sheet of baking paper. 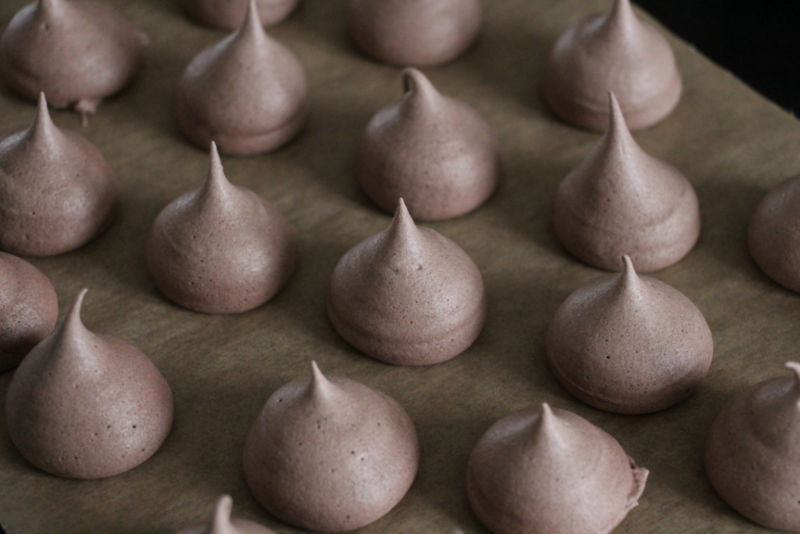 Remove the meringues form the oven, let them cool down for 3-4 minutes before removing them from the sheet. Note that you need to keep the right balance of ingredients: always put as much egg whites as caster sugar and as icing sugar and cocoa mixture. Merci pour cette bonne recette, je cherchais depuis longtemps une recette de meringue au chocolat. Bon, pour ma première elles ne sont pas réussies, je pense que j ai trop mélangé le mélange sucre glace-cacao mais le goût y est! Je ferai attention la prochaine fois. J’en suis ravie Hélène !! 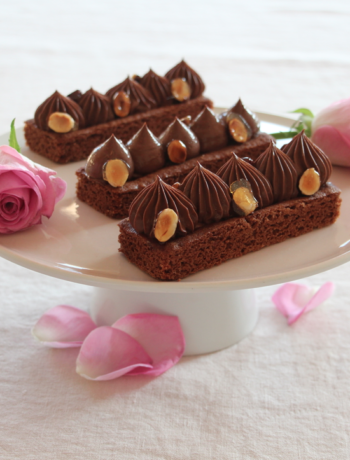 Hey Buddy!, I found this information for you: "Chocolate Meringues". Here is the website link: http://www.casseroleetchocolat.fr/en/meringue-chocolat/. Thank you.